BD needles provide immediate protection at the puncture site. It is a fact that 61% of injuries occur within seconds after a device is removed from the vein. 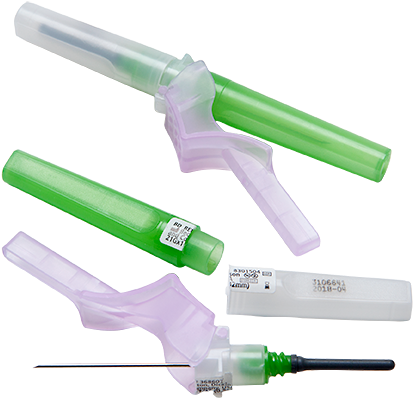 The BD blood collection needle minimizes the risk by featuring one-handed activation at the puncture site. Provides a simple, effective way to collect blood, helps reduce the possibility of accidental needlesticks and features one-handed activation technique.